Francie Schwartz as she looked when she attracted Sir Paul in the summer of ’68. It must be very weird indeed to have a lot of your life defined by a summertime fling from 1968 but that’s the fate of Francie Schwartz, an American woman who met and bedded down with Paul McCartney for a few weeks in London back in that pre-Summer of Love. Depending on whom you believe, it was either just after Paul broke up with longtime love Jane Asher or toward the end of it. There is a story that Sweet Jane caught Paul in bed with Francie. Who knows? But back to Francie. She really has no one else to blame if she’ll be forever known as Paul’s one-time affair. 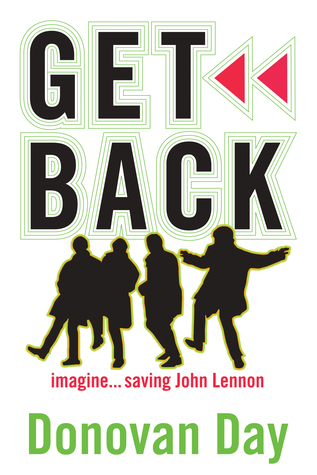 That would be a pretty heady thing for any young woman but, coming when it did, when The Beatles were on top of their game, well…..
And then Francie went and wrote a book about it. Well, she really did not write a whole book about the affair with Paul. Really, it was just one chapter but, if you can find her book — the very rare “Body Count” — you’ll know as much as you can stand about that summertime fling. Her book has been roundly criticized in Beatles circles but, when I read it, (and I have a copy), I must tell you that the chapter about Paul has the ring of truth to it. The way she describes Paul — basically as being an emotional mess and immature — sounds about right. Remember, this is a man who signed his first Beatles contract before he was 21 years old. Before he even had a chance to grow up, the world was telling him he was great. I think one particular passage written by Francie strikes me as the dead on truth. She describes a trip she took with Paul to Liverpool where he wound up quite drunk in a local pub. “He was back up against the bar, red and swollen with self-pity, self-contempt. A bewildered crowd of cousins surrounding him. When we reached the cobbled street, he fell down on his hands and knees, pounding his fists into the pavement. There’s something about that scene that is so real. McCartney having a drunk temper tantrum back in his home town, realizing that he’s no longer the local lad but something other — a Beatle! It’s said that The Beatles only hung around each other in the middle of Beatlemania because only they could understand what it was like to be them. I dig it. I get it. We should thank Francie because, not only was she perceptive enough to realize it, she put it down on paper at the time. Hers is an interesting book despite the reviews. I read Body Count, and one of the things that struck me about Paul at that time is that he, one of the ’60s world’s most eligible bachelors and sleeping with everything that moved, was basically desperate to get married and not particularly sexual. All it took was Linda offering to make a nice home for him and boom.